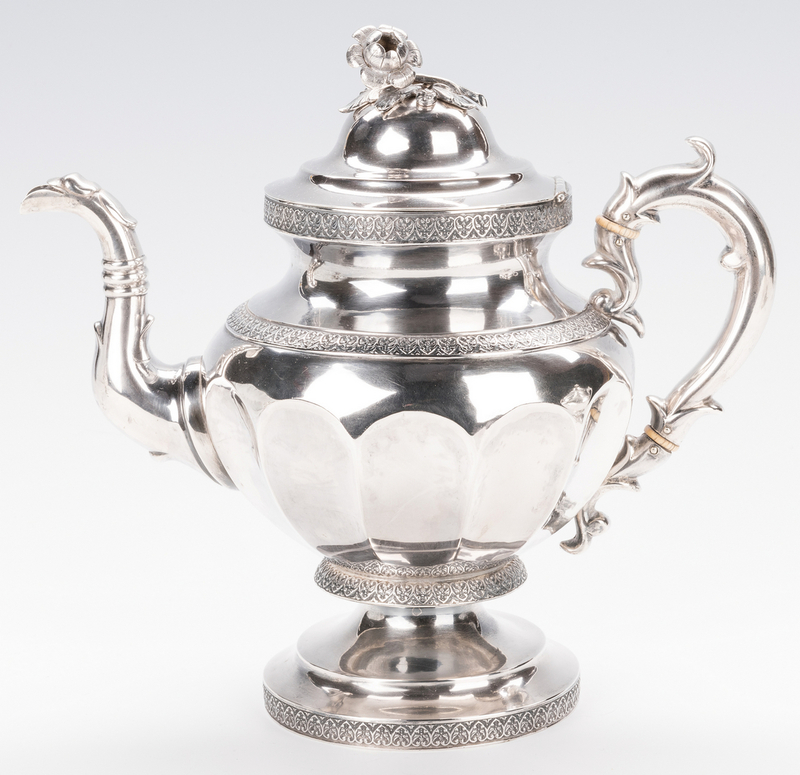 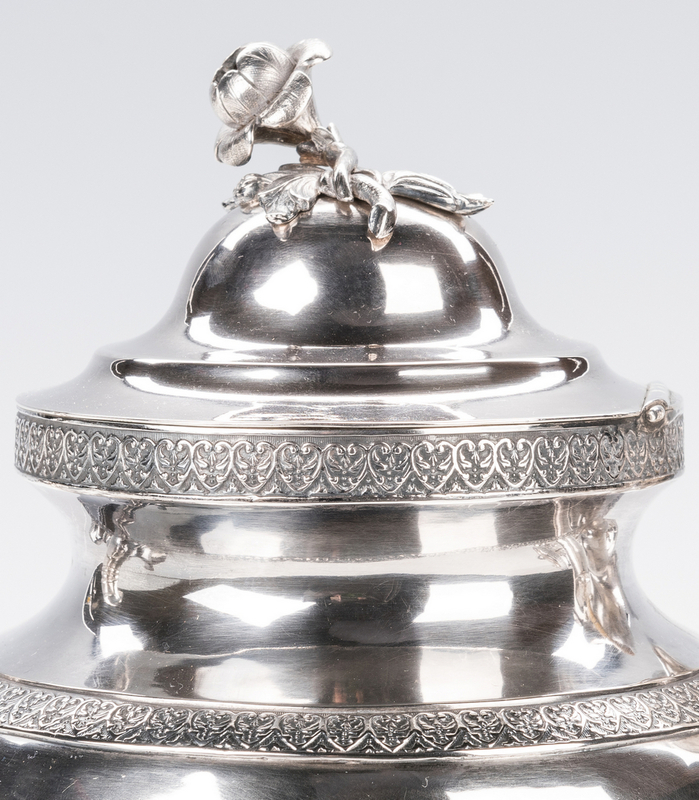 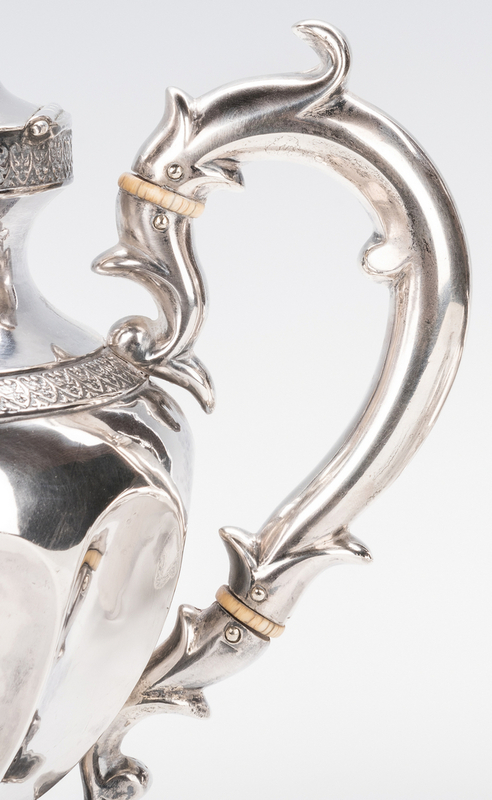 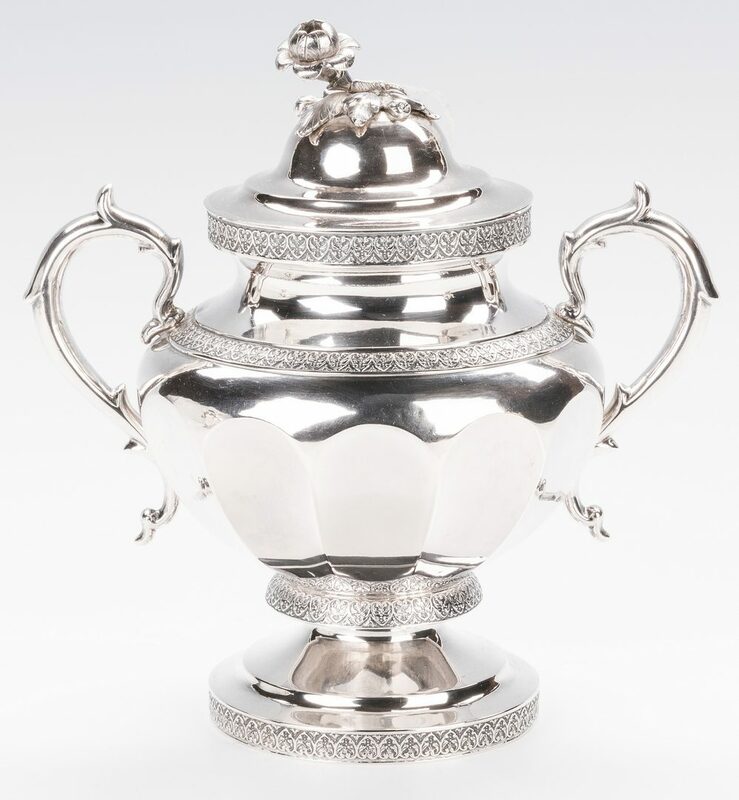 3-piece Classical coin silver tea set, circa 1830, marked N.J. BOGERT in rectangle for Nicholas J. Bogert, working New York, NY, early 19th century; consisting of teapot, sugar bowl and creamer, all with C scroll handles, lobed bodies and bands of heart/scroll decoration to rims, shoulders, and midsections; the teapot and sugar bowl with figural flower finials to lids. 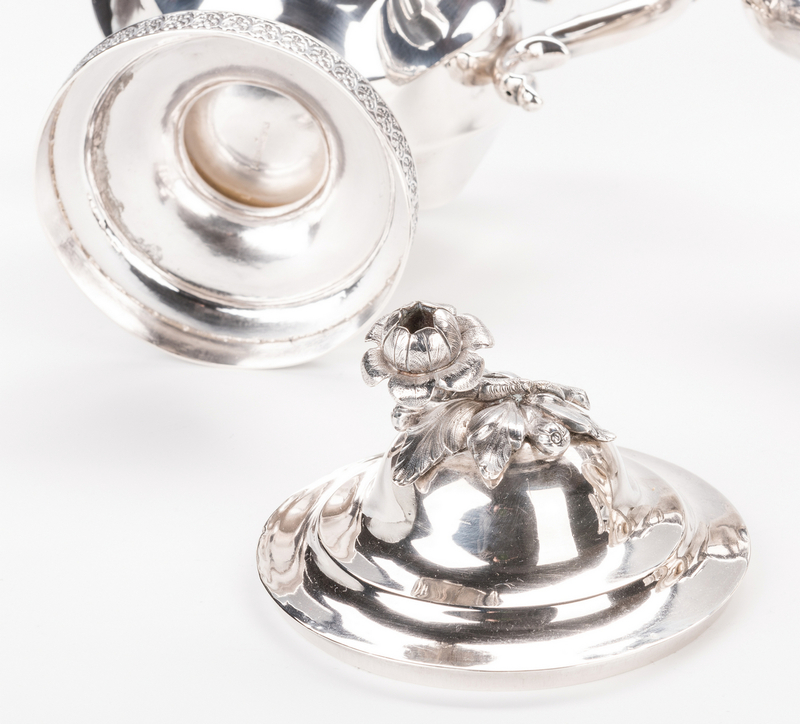 All pieces with Old English style monogram PTG. 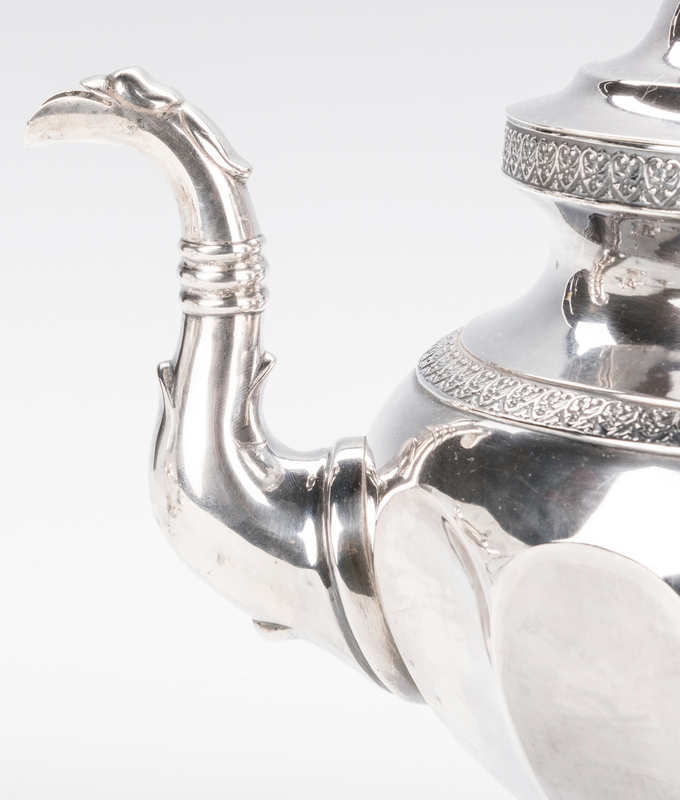 Teapot 10 1/2" H. Combined weight: 58.47 oz troy. 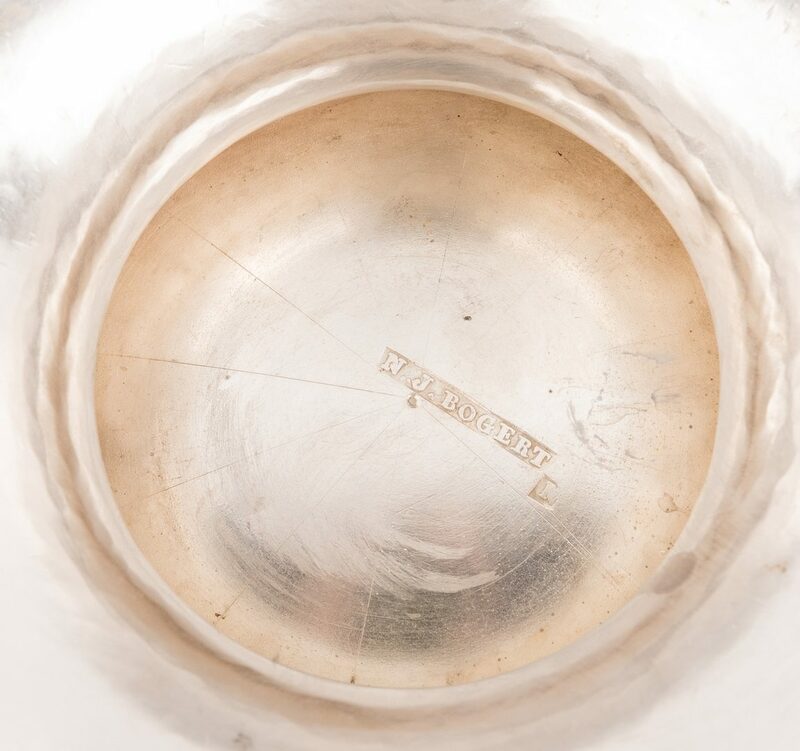 Provenance: the estate of Mary Ann Sugg, Franklin, Tennessee. 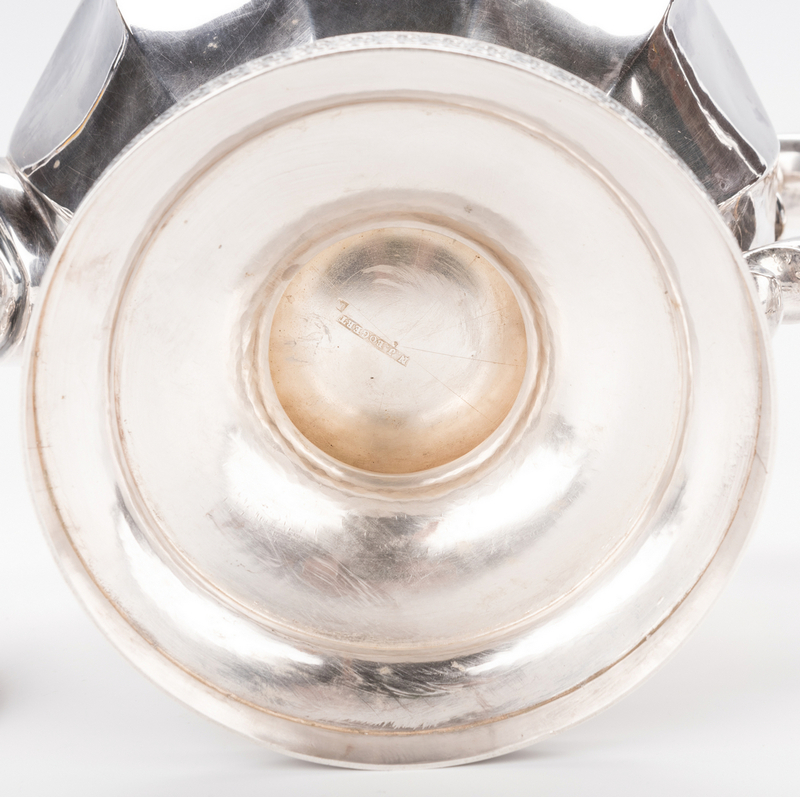 CONDITION: Creamer has repair at foot ring, otherwise all pieces in excellent condition.